Paul joined The Open University in 2013, taking over as Head of The Open University Law School in January 2015. 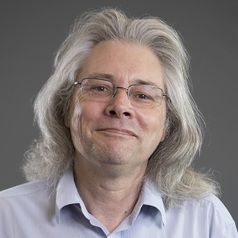 Prior to joining The Open University Law School, Paul was Head of the Department of Law at the University of the West of England, where he worked from 2005-2013. From 1990 - 2005 Paul taught at Oxford Brookes University, where he was Subject Chair (Head of Department) and Field Chair (Course Director). Paul was educated at Cambridge University gaining his degree and Masters in Law and Economics. Paul subsequently gained an MA in Education at Oxford Brookes University focussing particularly in on-line learning. Paul's research focuses on the use and potential use of neuroscientific and genetic evidence in the courts and within the justice systems more widely. Paul is interested in discovering current practice and identifying best practice. Paul is currently involved in a project with colleagues in the United States, Canada, Singapore and the Netherlands to investigate the use of neuroscientific evidence by defendants in criminal trials. The initial stage of the project looked at the use of such evidence in five jurisdictions between 2005 and 2012. Paul's focus is the use of such evidence in England and Wales. Preliminary findings have been published in the Journal of Law and the Biosciences. Paul's research interests are wide ranging and include: the use of neuroscientific evidence to detect memory/lies, the use of brain scanning to inform treatment and end of life decisions and the appropriate approaches of the law in cases where brain impairment / brain injury may impact on responsibility / capacity. Prior to focussing on law and neuroscience, Paul's research centred largely on legal education particularly: (1) the use of e-learning to support and enhance learning and (2) the factors affecting prospective undergraduate law students in their choice of university.